Hundreds of electronic cigarette brands will have to undergo federal review to stay on the market under new rules that have the potential to upend a multi-billion dollar industry attempting to position itself as an alternative to traditional cigarettes. 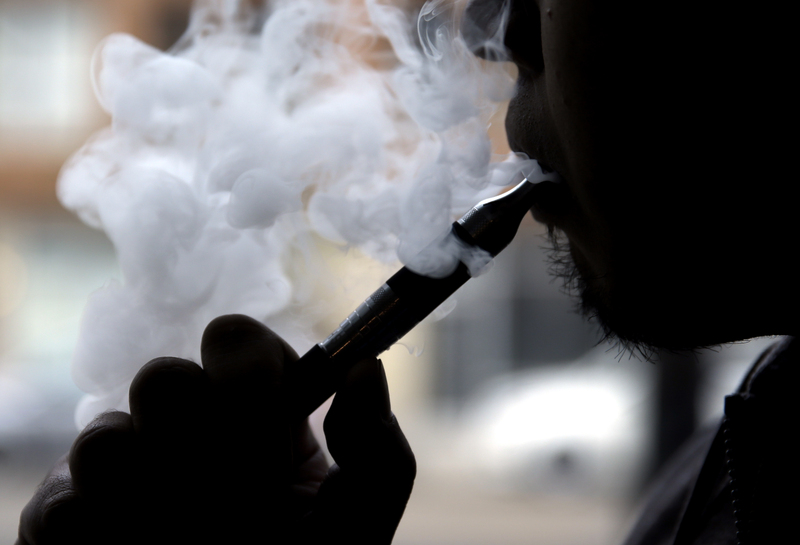 The changes will ban e-cigarette sales to people under 18 and require new health warnings. In a shift vigorously opposed by the industry, manufacturers must seek federal permission to continue marketing all e-cigarettes launched since 2007, making up the vast majority of the market. In a tweet, Sylvia Burwell, Secretary of Health and Human Services called the move a "historic step" to help "improve public health & protect future generations from the dangers of tobacco." "[These] rules... help protect children and give adults the information they need to make informed decisions," she said in a video posted to Twitter. The American Academy of Pediatrics praised the rules as "a welcomed starting point," but said the FDA didn't go far enough to protect children. "FDA passed up critical opportunities in this rule by failing to prohibit the sale of tobacco products coming in flavors like cotton candy, gummy bear and grape or to prevent marketing tactics that target children," the doctors' group said in a statement. Some smokers like e-cigarettes because the nicotine-infused vapor looks like smoke but doesn't contain the tar or odor of regular cigarettes. They are sometimes promoted as a way to help smokers quit or cut down on tobacco. However, there's not much scientific evidence showing e-cigarettes help smokers quit or smoke less, and it's unclear how safe they are. Hundreds of smaller companies sell more specialized products -- often with refillable "tanks" and customized flavors -- at vape shops and over the Internet. That space alone may be worth $2 billion in sales, according to estimates, though precise figures are not available.